Smithsonian National Museum of African American History and Culture. Photo: Wikimedia. Taking students to the museum is a rewarding experience. Yet, it also comes with some challenges. It is more crowded and harder to get into than almost any other museum in the country. The line just to enter the historical galleries seems more like something one would encounter at Disney World rather than at a history museum. Also, the museum is massive—too large for guests to absorb fully in even a three-hour visit. 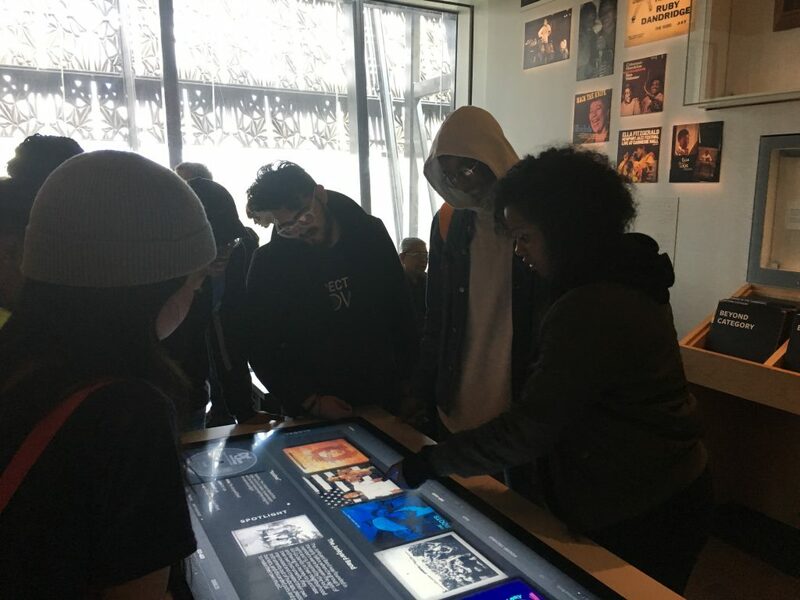 Students Explore the Musical Crossroads Gallery at the NMAAHC. Photo: Author. That said, any instructor will find that visiting the NMAAHC is a deeply meaningful experience for students that can elevate a good class into one that’s unforgettable. A bit of strategic logistical and pedagogical planning are necessary to pull off a student trip to this marvelous museum. To start, if you are even considering taking students to the museum in the next year, keep a very close eye on the timed passes page, which offers directions for group passes to the museum. Unfortunately, group reservations are currently suspended due to a severe backlog of requests. But at some point in the near future, group tickets will be re-issued. If you’re even considering taking a group to the museum, determine your dates in advance and once the group ticketing re-opens, make your reservation even if you haven’t secured funding yet. You can always cancel tickets if the funding falls through. If the museum resumes the group reservation process it had until recently, you’ll need to call a number at E-Tix and possibly spend an hour or more waiting to speak with a representative to request your dates. Another important consideration is how to prepare your students for this visit. Think about making this trip not only a museum visit, but also a larger exploration on the question of how to make our public history institutions more accessible and racially equitable. 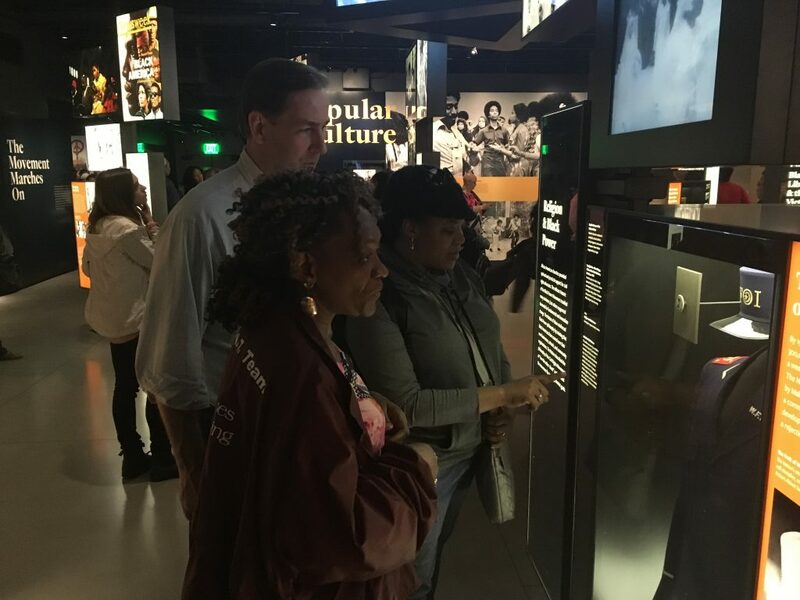 Learning about the decades of work staffers put into opening the NMAAHC gives students an important lesson on how museums—especially African-American history museums—do not appear magically, but are the product of years of struggle by public historians, activists, community members, elected officials, and scholars. 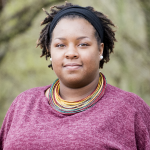 Students may also benefit to learn about the long history of the Black museum movement, which predated the NMAAHC by decades, or concerted efforts by conservatives such as Senator Jesse Helms of North Carolina to block the establishment of a Smithsonian museum devoted to African American history. Students Viewing a NOI Fruit of Islam Uniform in the Religion and Black Power Section. Photo: Author. Prior to visiting, you should develop a plan of what you want students to see at the museum. The museum does not offer guided tours. 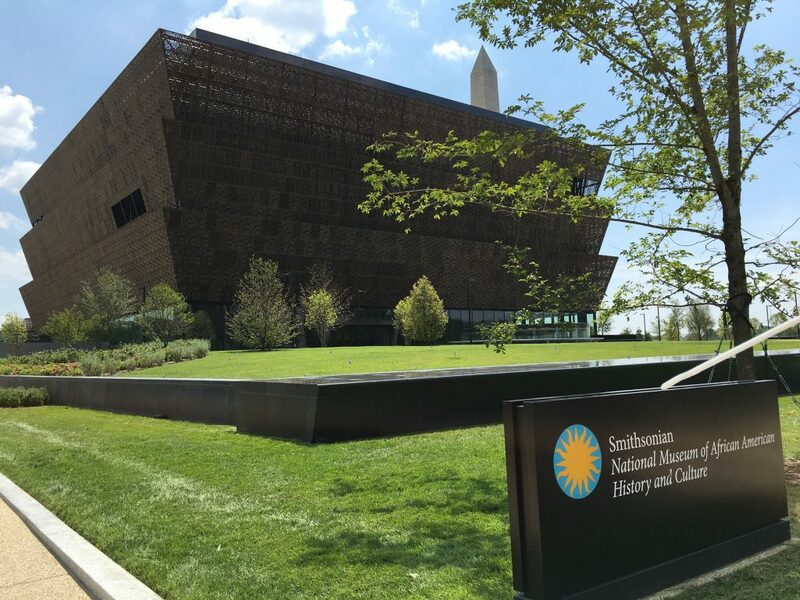 The size and scale of the NMAAHC—over 85,000 square feet of exhibition space—means that instructors must make hard choices about where to focus. Unless you are planning multiple days of visiting, it is nearly impossible to carefully read and digest all the museum’s exhibits. Rather, it is wise to go to the museum with an idea of which galleries you want your students to focus on. Instructors will likely want students to skim some sections and explore others more carefully, or even to skip entire exhibits. The three history galleries alone—“Slavery and Freedom 1400-1877,” “Defending Freedom, Defining Freedom 1876-1968,” and “A Changing America 1968 and Beyond”—would easily take a day to peruse carefully. But if you limit yourself to a couple of hours in those galleries, students should still have energy to explore the wonderful exhibits on the museum’s third floor on African Americans’ experiences with sports and the military, or the fourth floor’s popular galleries on music, art, and cultural expression. For my class on African American history since 1865, for example, I had students walk quickly through the pre-1865 gallery so that we could focus more carefully on the 1876-1968 and the post-1968 galleries. For a pre-1865 course, I would have students do the opposite. After making our way through those two galleries, I gave students the option to explore the third and fourth floors on their own. I recommend this hybrid approach that avoids the extremes of either guiding your students’ every move in the exhibits or letting your students loose for the whole visit in this cavernous, and potentially overwhelming, museum. 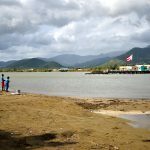 Because this experience can be quite emotional for many students, it is important to give them some time and space to navigate the museum individually or in small groups. Instructors may want to visit the NMAAHC on their own time prior to the class visit. Just becoming familiar with the layout of the NMAAHC will make it much easier to lead a group of students through the museum. I suggest avoiding weekends and holidays if possible. The museum is still quite busy on weekdays, but less likely to overwhelm students than on weekends, when attendance swells considerably. 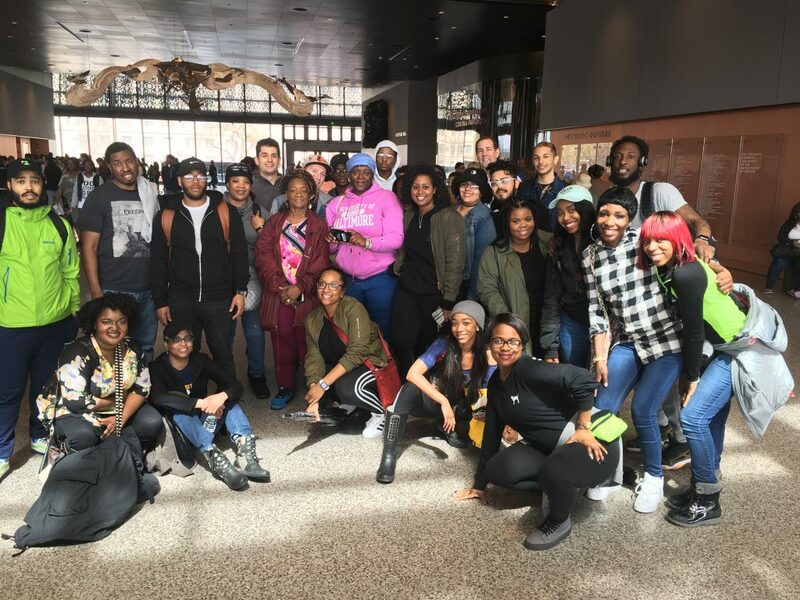 University of Baltimore students on class trip to the NMAAHC. 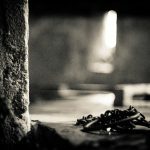 Photo: Author. 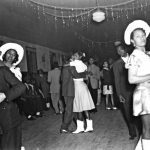 A word on food: the museum’s Sweet Home Café serves delicious African American dishes from four regions of the U.S., but a meal and a beverage for one person can easily cost more than $20. If your budget is tight, you may want to have your group eat a meal prior to your visit. This may seem like a trivial detail, but the last thing you want is to bring students to this remarkable museum and have them distracted and complaining about their empty stomachs. Most importantly, remember to let your students have a good time. I recommend resisting the urge to give your group the “total experience” at the NMAAHC. It is difficult for visitors not to have a memorable time here, but students will most likely have a positive experience if they do not feel too rushed and are allowed to explore some exhibits in depth—even if it means missing other exhibits. With a bit of prior planning and pedagogical forethought, you are bound to ensure your students have a powerful and meaningful experience at the NMAAHC. Joshua Clark Davis is an assistant professor of history at the University of Baltimore. His book, From Head Shops to Whole Foods: The Rise and Fall of Activist Entrepreneurs (Columbia University Press, 2017) examines how natural foods stores, head shops, feminist businesses, and African American booksellers emerged from social movements in the 1960s to advance the goals of political transformation and cultural liberation. Follow him on Twitter @JoshClarkDavis. I don’t know if a racial/national census of visitors to the museum is taken, or if there are projections of what these may be, but I do believe that Black children who visit the museum will generally be impacted quite differently than White children. 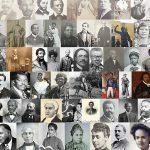 Latino, Asian, Native American and other children of color may find that African American history reflects some striking similarities to their own histories, from jubilation to horror. An example is that during the late eighteen hundreds, in Texas as many or more Mexicanos were lynched by the klan as Black people. My enthusiasm to visit this phenomenal museum at some time in my life is strong, but I realize that may never happen. Given that the majority of citizens in this country may never go to Washington, may never have the chance to enter this museum, might it be that a cyber visit could be created? Would it make sense to approach Silicon Valley with a proposal to create a cyber version of the museum for the countless children (and adults), particularly African American, who may never see the inside of National Museum of African American History and Culture otherwise? Has this been done with other Smithsonian Museums?